With the start of a new year comes planning for four major events sponsored by the Siesta Key Village Association (SKVA), and that planning is well under way. One sticking point, however, may prove to be parking for vendors participating in the February Craft Show and Siesta Fiesta. 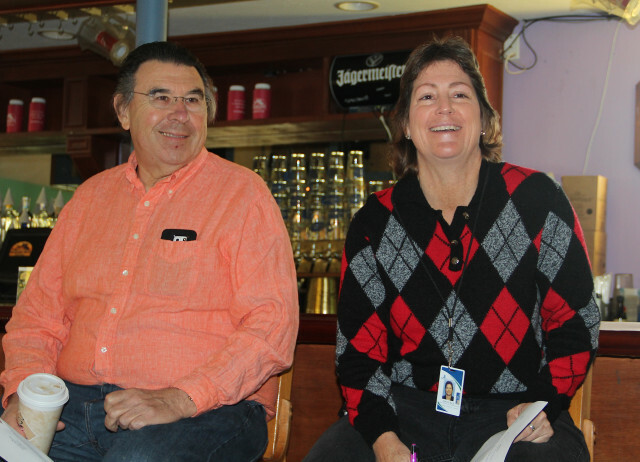 During the SKVA monthly meeting on Jan. 5, President Wendall Jacobsen announced that the annual Valentine Stroll will be held on Feb. 14, as usual, with balloons marking participating businesses. 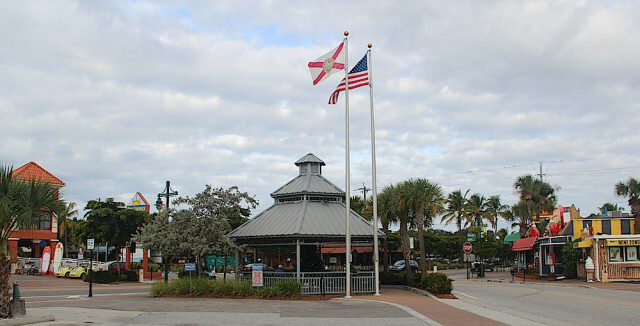 It will be followed by the Craft Fair, Feb. 27-28; the Easter Egg Hunt on March 26; and Siesta Fiesta, April 9-10. For the Valentine Stroll, Jacobsen noted, Russell Matthes, co-owner of the Daiquiri Deck, will have the balloons available for people to pick up. Jacobsen asked the approximately 12 members present to encourage shop owners to keep their stores open for the event, which will run from 5 to 8 p.m. “You can hand out kisses or hugs or whatever you want to hand out,” he added, prompting some chuckles. The Stroll’s traditional tagline has promised every participant a kiss; however, the show of affection typically comes in the form of a well-known brand of candy. The Easter Egg hunt is held at Beach Access 5, starting at 9 a.m. and finishing up generally a bit prior to noon, Jacobsen continued, adding that he hopes the Sarasota County Fire Department and the Sarasota County Sheriff’s Office’s Mounted Patrol will participate as they have in the past by showing off equipment and horses, respectively, to the children and parents who will be present. Sgt. Jason Mruczek, who took over last fall as leader of the Siesta Key substation, said he would check into the availability of the Mounted Patrol. Jacobsen added that he would email SKVA members, seeking more volunteers. Hyman also noted that the number of children participating each year continues to climb. “It gets bigger and bigger.” The SKVA had 150 sign up last year, she said; advance registration is required. She already has two youngsters registered so far, she added. Jacobsen explained that the children are allowed to hunt in small groups for the eggs. Village businesses have felt the effects of fewer customers on past Siesta Fiesta nights, he said, with part of Ocean Boulevard and Beach Road closed to allow vendors to operate in those streets. He reminded everyone that a change in the county’s regulations for the Municipal Lot in the Village forbids trailer parking there. “Where would you suggest they park?” Matthes asked. “I don’t have the answer,” Shay replied. “What if we had the [Village] businesses adopt a vendor,” allowing the vendors to park in Village shops’ lots, SKVA Vice President Mark Smith suggested. “There are hundreds of them,” Kay Kouvatsos, co-owner of Village Café, pointed out of the vendors. Some solution will need to be found, Shay added. 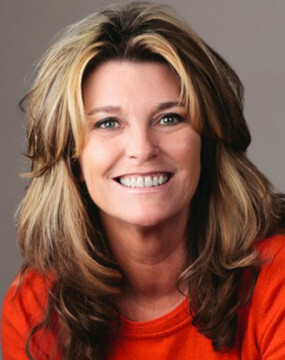 Lisa L. Cece, the business professional in the county Transportation Department who oversees Village maintenance matters on behalf of the county, suggested that local church parking lots might be an option, especially on the Saturdays of the two events. Discussions also had been held with county staff in the past about the potential of using Glebe Park, Shay noted, conceding, though, that the park’s distance from the Village might make it a less attractive alternative for vendors who need quick access to their trailers, to resupply booths during the day. Still, Smith agreed that some might like the Glebe Park option. “I think we need to get creative, because we can’t use the Municipal Lot,” Shay added. Last year, Cece pointed out, vendors damaged two curb stops in that lot, as well as bushes. Matthes asked about the worst-case scenario if vendors did park trailers in that lot. Mruczek said a violation would result in a $25 ticket, and if a trailer was found to be blocking the traffic flow, the owner risked the possibility of its being towed. 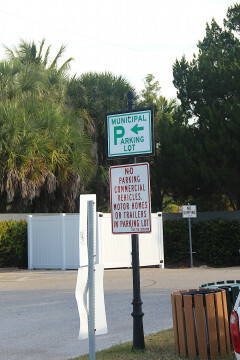 The ticket was the more likely result, Mruczek added, as Cece pointed out that signage posted at the lot states no trailers are allowed there. When Syd Krawczyk of Concept Digital Media suggested that the open area fenced in behind Siesta Center might be an option, Kouvatsos responded that the lot is privately owned and she did not believe the owners would allow parking there. 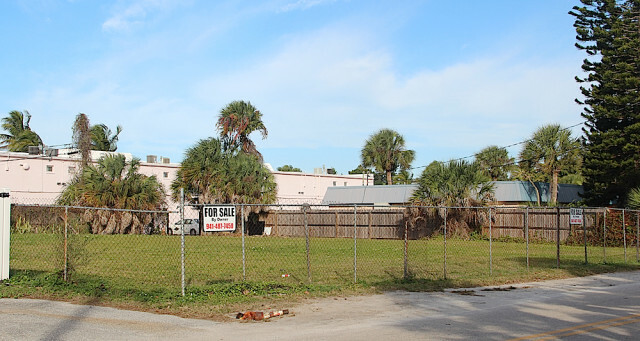 The 10,500-square-foot parcel, located at 5160 Calle Minorga, is owned by a limited liability company, a search of Sarasota County property records shows. My Internet search shows the parcel listed at $499,000 on the Trulia website. Hyman pointed out that the property belongs to the people who used to own Siesta Center. Since they sold the shopping plaza last year, she continued, they have the lot privately insured. Therefore, she was very doubtful they would be willing to let anyone park there during the two Village events. However, Secretary Helene Hyland of Coldwell Banker pointed out that a person can purchase a one-day insurance policy. Perhaps Howard Alan Events and American Craft Endeavors, the company that produces Siesta Fiesta and the February Craft Show, could cover the cost, she added. If the owners would not have to face any threat of liability, Matthes responded, that might be a possibility. In the meantime, he said, he would phone Howard Alan and find out how the firm handles parking in communities with constraints similar to those in Siesta Village. In other discussion during the SKVA meeting this week, Matthes reported that the new Village banners should be going up this week, as the holiday decorations come down. He also thanked Kouvatsos for making sure the decorations had been removed from the Christmas tree in the gazebo. She added that only about 20 of the light bulbs were left before she and her group went to work. Krawczyk suggested — a bit tongue in cheek — that prior to the next holiday season, the SKVA board members collect coupons from business owners and attach the coupons to the bulbs, so if a visitor took a bulb, the visitor would be encouraged to use the coupon at the sponsoring business. “Great idea,” Kouvatsos replied with a sarcastic note. “You’d have to replace them every day,” Matthes pointed out. Amid introductions this week during the SKVA meeting, Vice President Mark Smith welcomed the new executive director of the Siesta Key Chamber of Commerce: Ann Frescura, who has moved to Florida from Springfield, IL. Frescura told me after the meeting that she has been most appreciative of the warm reception she has received in the Village and is very excited about working on Siesta Key. 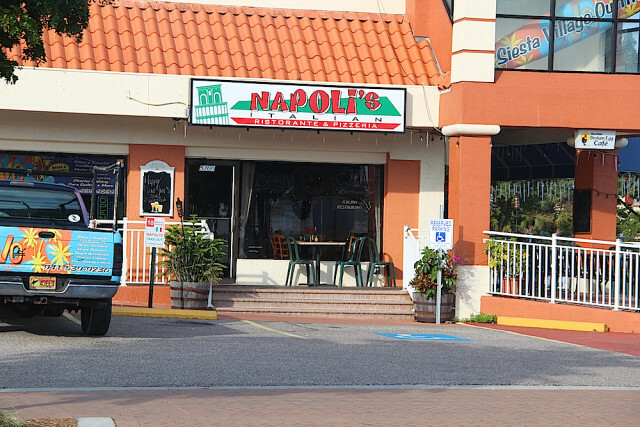 SKA President Shay reported during the Jan. 5 SKVA meeting that the handicapped parking place that had been removed from the lot in front of Napoli’s in the Key Corners plaza has been replaced. “It only took two months to do that,” he added.